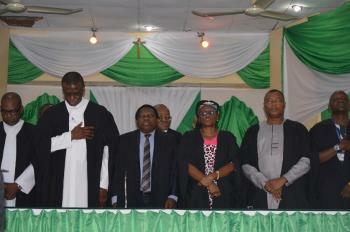 Sequel to the complete fulfillment of the university requirements for admission, the newest members of the community of the Seminary of Saints Peter and Paul, Bodija, Ibadan were officially accepted into the Premiere University of Ibadan on January 30 2019 with the thirty-third matriculation ceremony for their degree programme in Philosophy. The programme which began at about 9:45 a.m. had the presence of some of the university officials: Dr. Ikeoluwapo Moody (Deputy Registrar), Prof. Raji Oyelade (Dean of Arts), Prof. Francis Offor (Head of Department of Philsophy) and Mrs. Meliatu Abioye (Faculty officer), alongside the Seminary formators and academic staff. 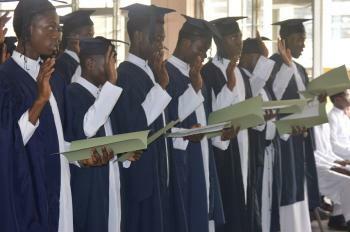 In all, 71 students were matriculated.